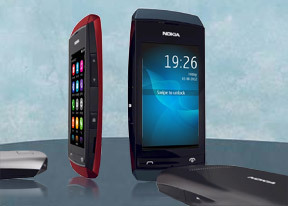 AnonD-73824, 29 Sep 2012Nokia asha 306 is good but im disappointed... Because it cant watch videos from youtube.... It... moreNot only youtube videos but also 3G, GPS and access to google play. What is galaxy y and what is asha 306. You gone mad. Very slow in internet and with no PC suite and no easy touch. SARWAR, 04 Oct 2012samsung is dead in few days..............lol.. you're out of your mind.. Samsung..dying? over the invention of this phone?.. buddy go read the market first.. who is leading the market and who is facing the loss (after creating ashas and 45MP camera mobiles)..
when will it launch in India?? need to purchase this handset.plz let me know at the earliest. I think nokia 311 is better than 306. Ill make it clear to u all... Nokia asha 306 not supported youtube.... Im very very disapointed!